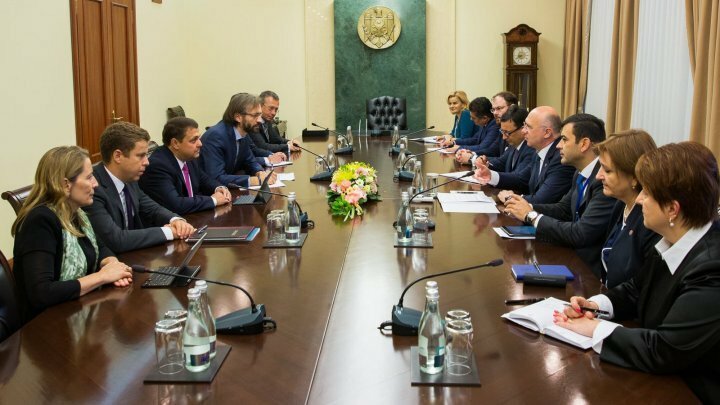 Prime Minister Pavel Filip had a meeting with the IMF expert team headed by Ruben Atoyan, who started his work visit to Moldova. The prime minister congratulated Ruben Atoyan on taking over the country's file and assured IMF experts of all the necessary support for the mission. "For the Government, the agreement with the IMF is very important. In 2016, when we faced a banking crisis, one of the main instruments that helped us to redress the situation in this sector was the agreement with the IMF. The IMF helped us to convince the political class and we want to keep this relationship with the Fund", said Pavel Filip. The prime minister said that the Executive continues to work to improve the state of affairs in the country's development areas as well as to implement the program's provisions with the IMF. Thus, during 2018, a positive dynamics of all macroeconomic and budgetary indicators was recorded: GDP increased by 3.7% in the first 3 months, and budget revenues increased by 12.5%. At the same time, the Government continues to promote structural and sectoral reforms and has lately succeeded in promoting important banking sector bills, amendments to the state budget law for 2018 and fiscal-fiscal policy, as well as a set of amendments to legislation and normative acts in the field of energy. Thus, the implementation of the program provisions with the IMF is ensured. IMF Mission Head Ruben Atoyan said the IMF is a government partner and is here to help. In the next period, the IMF's expert team will assess the macroeconomic situation in the Republic of Moldova, budget-fiscal and monetary policies, state budget provisions for 2019 and progress in the banking sector. The IMF mission will be in Chişinău between September 13-20. It is a working visit and not a mission to evaluate the implementation of the program with the IMF. Such work visits, outside the standard program evaluations cycle, are a common practice of the IMF in relation to countries that have programs supported by the Fund.